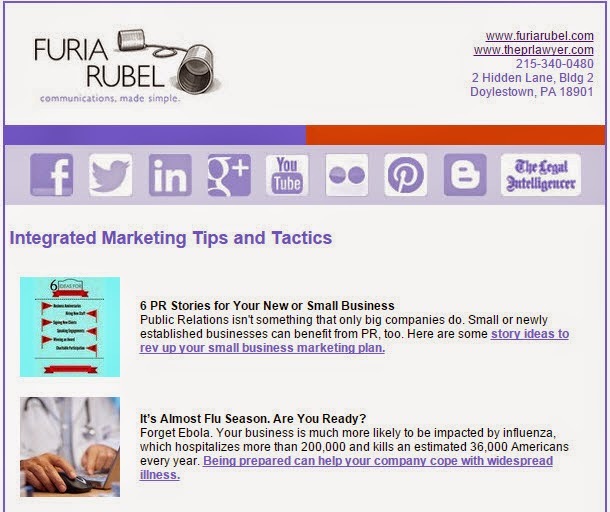 At Furia Rubel, we spend a fair amount of time creating monthly and bimonthly email newsletters for our clients. We were intrigued by a recent survey performed by digital news outlet, Quartz, confirming that newsletters can be one of the most effective tools to maintain client relationships or keep colleagues informed. If done right, your newsletters could develop an engaging subscriber foundation, and potentially cultivate suitable leads and customers. Quartz’s survey states that 60 percent of business executives interviewed say email newsletters are one of the first three news sources they read in the morning. For keeping up on the latest industry news, 56 percent of executives said an email newsletter is their primary source of information. 75 percent of executives surveyed said they spend at least 30 minutes a day consuming the news. Why not spend a few of those minutes looking at business newsletters? The survey documented the changing ways, people ranging from managing directors to c-level executives, consume and share content – despite the widespread use of mobile devices. Content sharing of relevant news items that allow the original distributor access to and ease of sharing is important. So important – that 91 percent of business executives surveyed say they would share work-related news with others. One of the biggest problems with email newsletters is that they are often disorganized and nonspecific because they are featuring news from every aspect of your business. PR stories or blog posts could be going next to random upcoming events – what a mess! Find a strategic solution for content placement by brainstorming ways to balance the content of your newsletter to be 90 percent informative and at least 10 percent promotional. Please feel free to share your thoughts on email newsletters with us in the comments section below. Does your company use them? What do you feel is valuable to include in company newsletters? There are many different theories and myths about the best ways to create and maintain great search engine optimization results, called SEO. But that’s the problem; there are too many myths. How can we separate fiction from fact and better optimize our respective websites on Google search? Let’s see…by listening to advice from someone who works at Google. 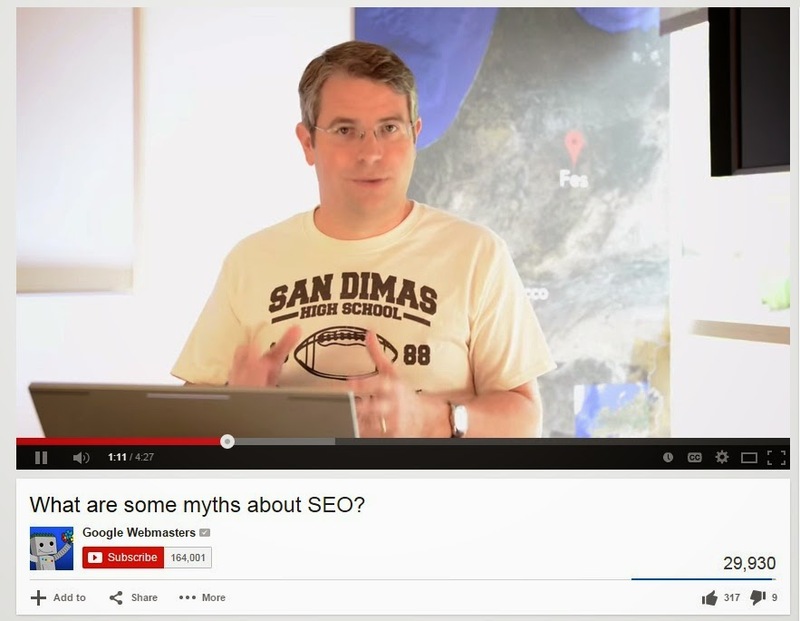 Matt Cutts, Head of Google Search Spam, has seen various SEO techniques, ads and fluff sites used during the nearly 14 years he has spent with the company. He uploaded a video to YouTube in April of last year to call out the biggest SEO myths he had heard of at the time, but most of those myths are still believed to this day. One of those myths is, “if you buy ads you’ll rank higher on Google.” That would be false, he says. Cutts says there also is an opposing theory that says if you don’t buy ads you will rank higher on Google. This also would be false, according to Cutts. He says that Google wants only to return great search results to the users and it is only about making the users happy. Why is that? So they will keep coming back to Google for answers, of course. 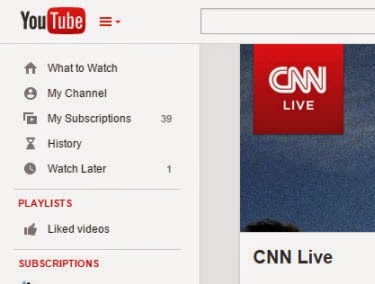 Sorry to disappoint you, Google conspiracy theorists! Google and other search engines often change the algorithms that control what websites are displayed as the results of a search. Some of those changes are minor and some are major. According to a recent article on PR Daily, Google’s algorithm tweaks continue to work to filter out the spammy websites that gamed SEO by stuffing keywords and other “black hat” tactics once used to claim the top search results spots. As a result of those changes in recent years, the content (like press releases based on actual news, for example) with true depth can actually break the surface. The truth is, one simple theory or approach will not guarantee that certain websites show up at the top of page one of a Google search. Many factors contribute to better search results – as many as 200 – and improving a website’s SEO is a long process. What does this mean for companies that recognize the importance of good SEO? It means that investing in good writing has never been more important. Creating both textual and visual content that appeals to your target audience, and sharing it through integrated public relations and marketing, will help companies get found on the web – no myths necessary.